Picked this up today. Pretty excited, as it’s my first modern bike. I haven’t ridden in years but my new job and commute puts me in the area of a really nice long bike trail. 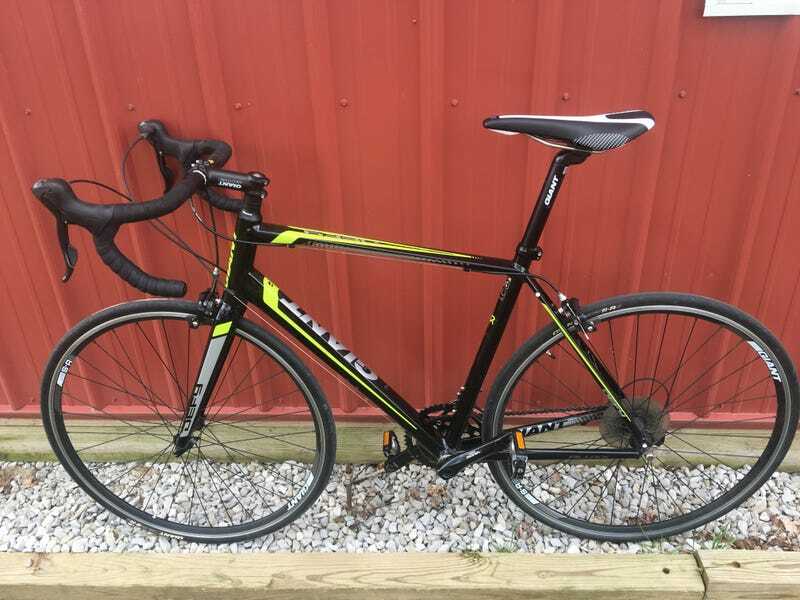 It’s a 2014 Giant Defy 3, got it used from someone one Craigslist who had upgraded to a more expensive bike. Well maintained and in fairly good condition. The most shocking thing about it is how light it is. I can pick it up with one finger. I’m used to bike that weigh significantly more. Can’t wait to get riding. I will be purchasing tires with rain grooves though because “racing slicks” just seems like a really bad idea on anything other than completely smooth, dry surfaces.